Insulin was discovered by Banting and Best in 1921. Soon afterwards, manufacturing processes were developed to extract the insulin from porcine and bovine pancreata. From 1921 to 1980, efforts were directed at increasing the purity of the insulin and providing different formulations for enhanced glucose control by altering time action. Purification was improved by optimizing extraction and processing conditions and by implementing chromatographic processes (size exclusion, ion exchange, and reversed-phase). These improvements reduce the levels of both general protein impurities and insulin-related proteins such as proinsulin and insulin polymers. Formulation development focused on improving chemical stability by moving from acidic to neutral formulations and by modifying the time-action profile through the use of various levels of zinc and protamine. The evolution of recombinant DNA technology led to the widespread availability of human insulin, which has eliminated issues with sourcing constraints while providing the patient with an exogenous source of native insulin. Combining the improved purification methodologies and recombinant DNA technology, manufacturers of insulin are now able to provide the purest human insulin ever made available, >98% pure. 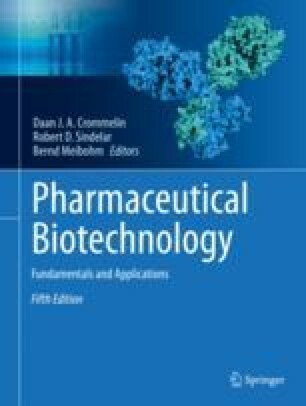 Further advances in rDNA technology, coupled with a detailed understanding of the molecular properties of insulin and knowledge of its endogenous secretion profile, enabled the development of insulin analogs with improved pharmacology relative to existing human insulin products.